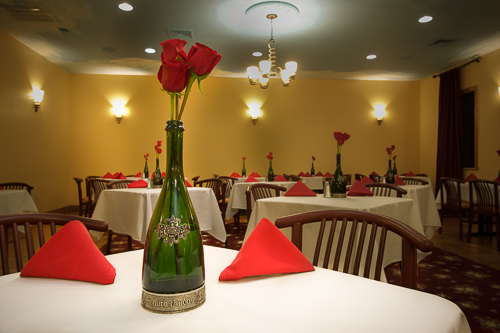 Join us to enjoy delicious, authentic Italian and Sicilian cuisine in casual, fine dining or bistro environs. We’re only ten minutes from Hershey Park and twenty minutes from downtown Harrisburg, and have something for everyone. From pizza to pasta pescatore, spaghetti to stromboli, cannoli to caprese: visit JoJo’s on 22 for lunch or dinner, as casual or as upscale as you like. 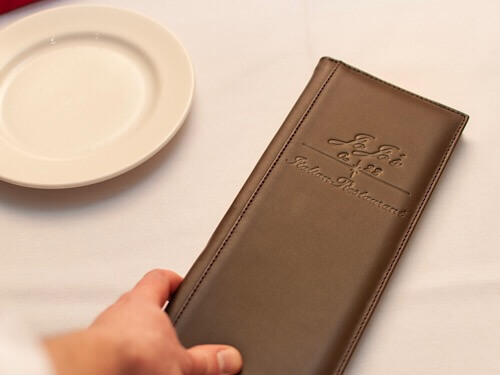 The perfect beginning to a perfect dining experience. For more of our delicious beginnings, view our full fine dining menu. Our bar features the right drink to go with every dish. Everything must come to an end - make it a great one. For more perfect capstones to perfect meals, view our full fine dining menu. Our chefs are always hard at work to prepare unique dishes for our customers to enjoy. Our specials change on a weekly basis, so check back often to see what we have in store for you to enjoy. Fresh chunks of raw, wild tuna tossed with olive oil, lemon juice, soy sauce, herbs, and spices. Served in a pastry cup with seaweed salad, avocado, garlic, and scallions. Thick slices of fresh mozzarella, served atop crisp tomato slices, with sweet basil and balsamic glaze, olive oil, salt, and pepper. Shrimp and bay scallops, sautéed in our Paradise sauce and served with fettuccine atop a bed of roasted eggplant. JoJo's Paradise sauce is made with olive oil, blistered cherry tomatoes, roasted eggplant, and various fresh herbs. Click here for more fine dining selections. In addition to hosting special events for our customers, JoJo’s on 22 hosts several events throughout the year. The right wine pairing elevates your dining experience. We maintain a comprehensive wine list, ensuring that our customers are always able find the perfect match for any occasion. Up front citrus flavors give way to stony minerality and a crisp finish. A full-bodied wine with black fruit and nice acidity, perfect with pasta or pizza. Slightly sweet, with honey-melon and white peach. Pairs well with light seafood. Ask your server for a full wine list and recommended pairings for your dinner. First visit last night; I stopped in to look over the menu and pick up a few pies to take home. Good selection; descriptive menu, reasonable prices, and friendly, attentive service. I sat at the bar and had a beer while waiting for the food to be prepared and the bartender was professional and friendly. Overall, very good experience, and I would like to return for an eat-in visit. We (six of us) went for dinner. We are from NY and after two days in Hershey Park wanted a nice quiet place with good food for dinner. We were seated righted away at a table big enough that we all had lots of room. Our waitress was so nice and kept a good eye on us to see what we needed. The food came quickly and was DELICIOUS!!!! We were all very happy with our choices. When we come back to the Hershey area we will definitely visit again. We happened upon JoJo’s on 22 by accident, but it was a very fortunate detour. We enjoyed some Pinot Grigio on the patio with our bruschetta and Stromboli. The atmosphere was laid back and lovely. A really nice experience! My wife and I have visited thousands of restaurants in our 40 year marriage, but this one stood out in a sea of average restaurants. This is not just a pizza shop! There is an adorable outdoor dining patio and a relaxed, comfortable atmosphere. The food is real Italian. The family is real Italian. I keep stressing the authentic Italian because we have a way corrupting our view of Italian food with American versions. But real Italian is gloriously different. It is an art, a passionate blend and balance of flavors, and you’ll find it here. Definitely a must-try hidden gem.